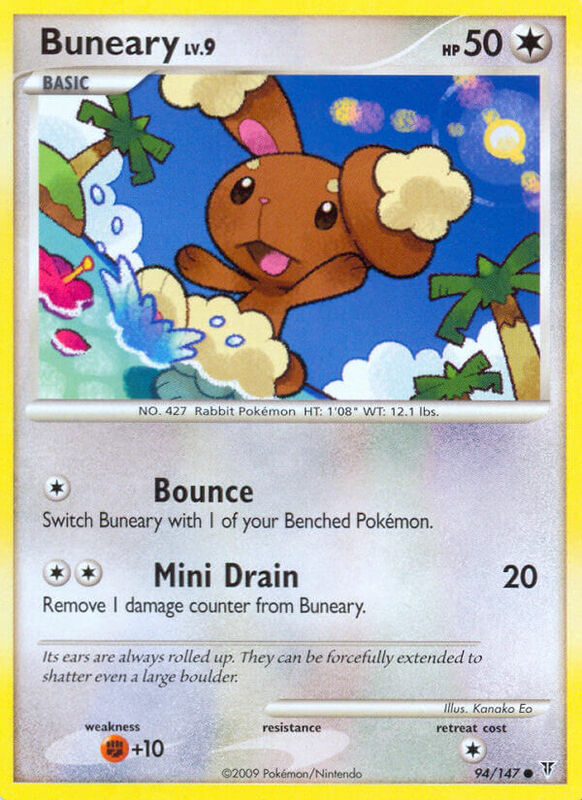 By extending its rolled up ears and striking the ground, it can bound so high it surprises itself. 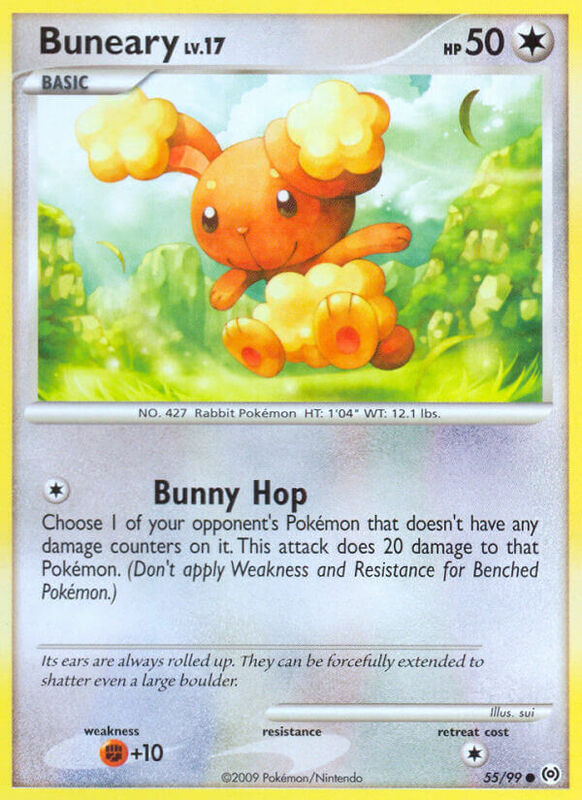 Switch Buneary with 1 of your Benched Pokémon. 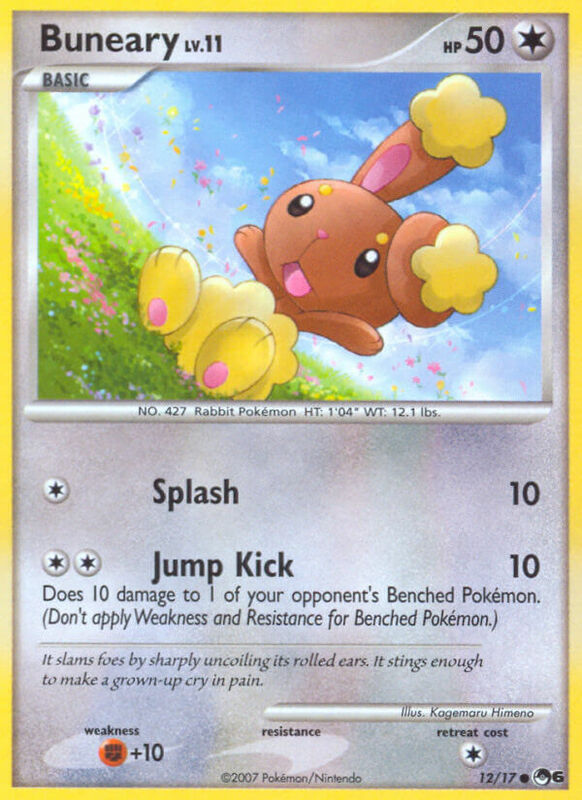 Remove 1 damage counter from Buneary. Flip a coin. 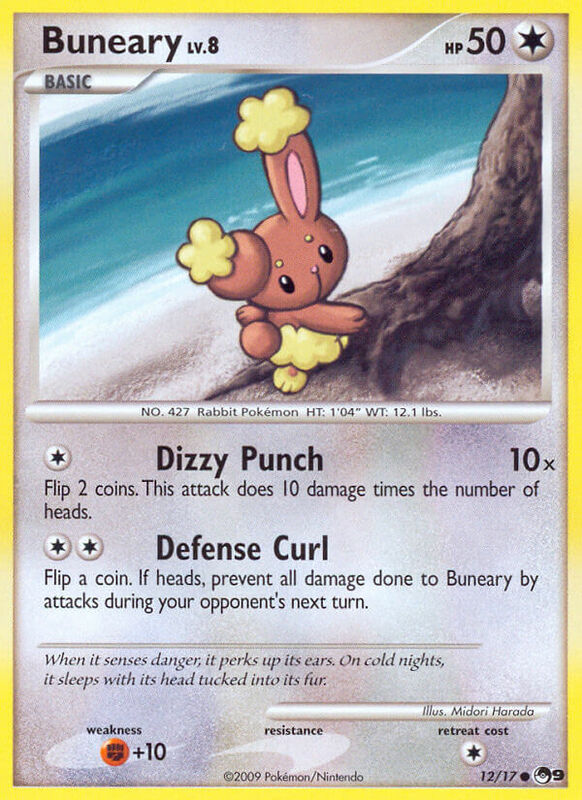 If heads, prevent all damage done to Buneary by attacks during your opponent’s next turn. 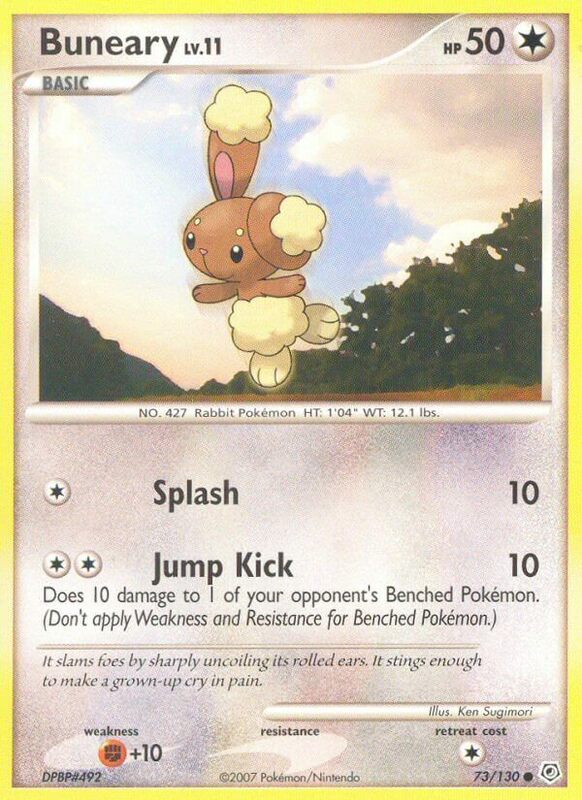 Remove all Special Conditions and 4 damage counters from Buneary. 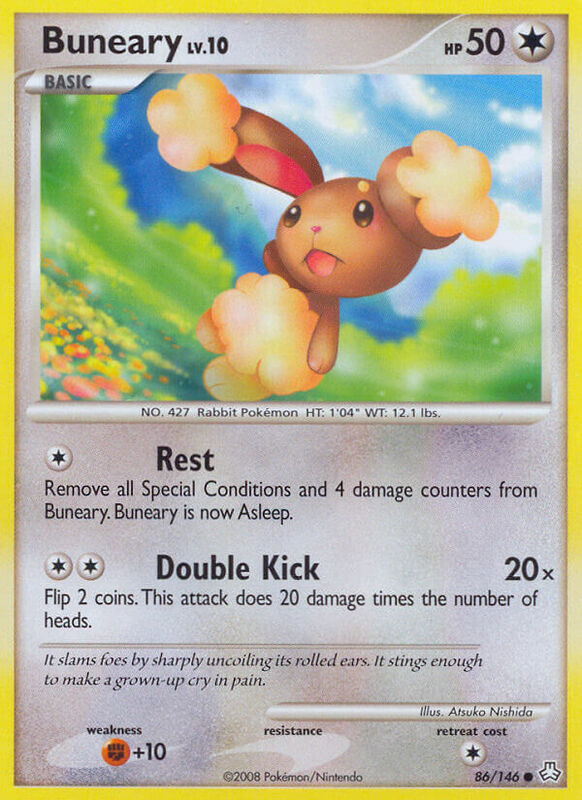 Buneary is now Asleep. 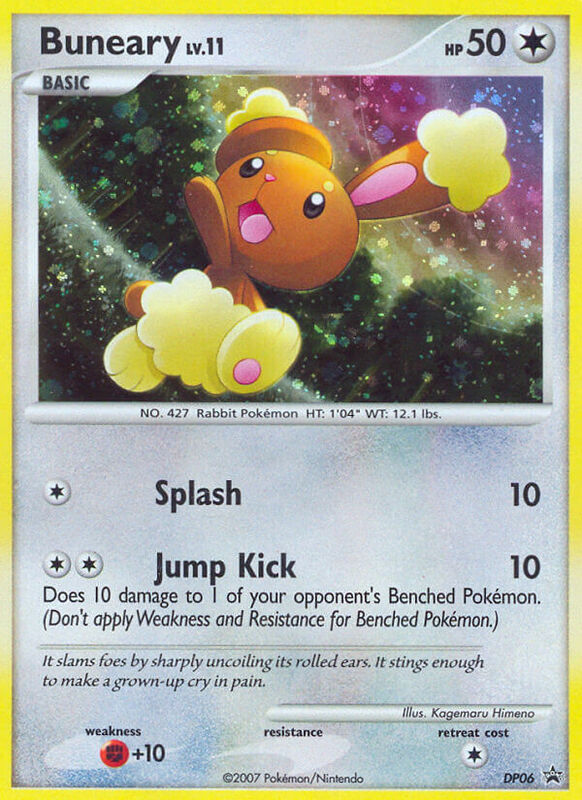 Search your deck for an Energy card, show it to your opponent, and put it into your hand. Shuffle your deck afterwards. 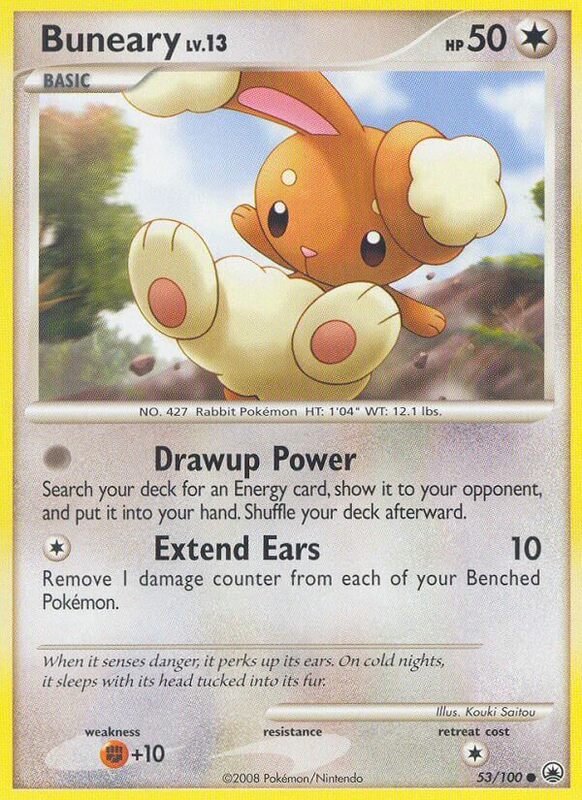 It slams foes by sharply uncoiling is rolled ears. 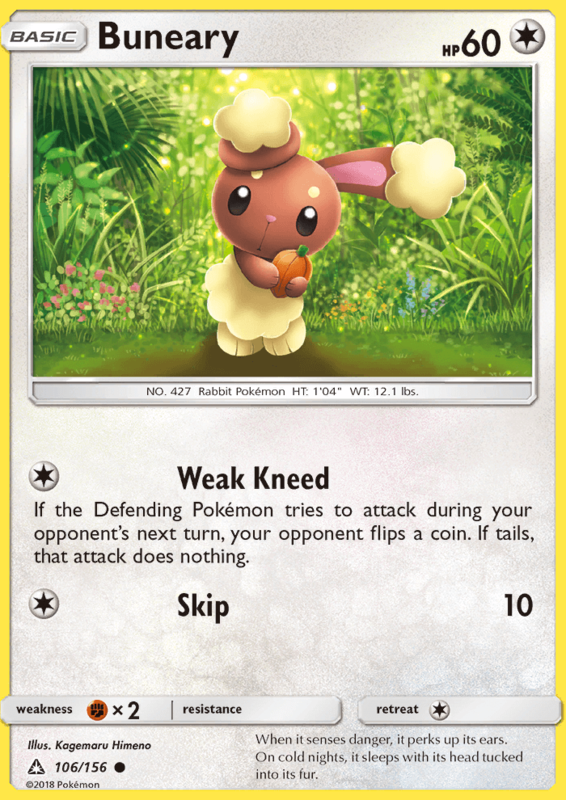 It stings enough to make a grown-up cry in pain.